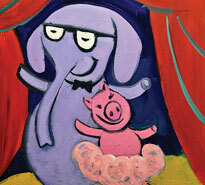 The author of the best-selling Elephant & Piggie books brings you a rollicking celebration of friendship and fun in a colorful musical for children 3 to 8 years old and their families. With their backup trio the Squirelles, Gerald and Piggie sing, dance and laugh their way through a day where anything can happen. 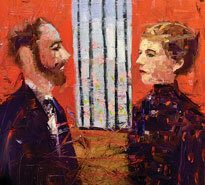 Straight from Broadway, A Doll’s House, Part 2 begins fifteen years after Nora left her husband and her children. As she returns to the place where she slammed the door on her past, long-kept secrets are split wide open. A scaldingly funny and deadly serious exploration of divorce, family and lost love.